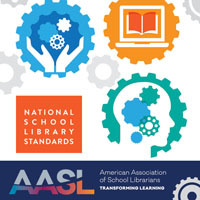 AASL is taking a comprehensive approach in supporting work to access the Every Student Succeeds Act (ESSA) funding to enhance school library services and resources, while continuing to respond to the immediate needs of school librarians in a thoughtful way. In May 2016 a working group created the “AASL Vision for Implementing ESSA” document and submitted it for approval to the AASL Board of Directors at the 2016 ALA Annual Conference. 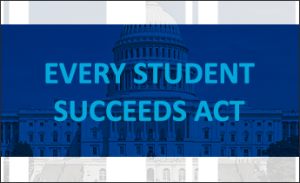 The “AASL Vision for Implementing ESSA” document is posted on the AASL ESSA Resources and Information Web page. This document provides an outline for advocacy work that is ongoing and sustained. 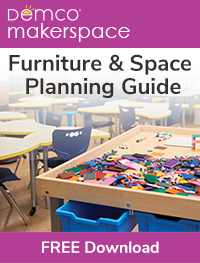 A task force has been appointed to work with AASL staff on operationalizing and implementing the vision outlined in the document; however, this doesn’t mean AASL or school librarians are in a waiting mode while the task force carries out operationalizing the larger plan. 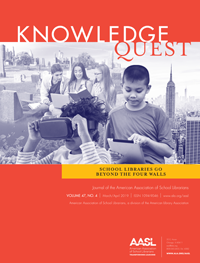 The association is actively carrying out the vision already, with AASL continuing to comment, provide resources—such as the recently posted definitions for effective school libraries—and plan for ESSA workshops with affiliates in the fall, while AASL members carry out the vision in strategic discussions and develop state-specific tactics for embedding school library programming into state ESSA implementation plans. Under each of these five targeted title areas the vision statement provides recommended goals and action steps needed to implement ESSA at three subgroup levels: AASL, AASL State Affiliates, and School Librarians. The work of the task force is to operationalize these goals and action steps across the three subgroups within the five ESSA titles. The vision statement also calls for ongoing communication across educational and community stakeholders at each subgroup level, from national to state to local school librarians. Embedded within the goals and action steps is the notion that engagement by school librarians at regional, state, and local levels in the unpacking and evolution of ESSA now and into the future is critical to success in gaining access to funding for enhancement of school library services and resources under ESSA. The task force plans to provide progress reports on their work to the AASL Executive Committee (EC) no later than the fall EC meeting. The task force will also provide progress reports to the AASL Board of Directors at the 2017 ALA Midwinter Meeting and 2017 ALA Annual Conference; the group will provide a final report to the AASL Board of Directors at the 2018 ALA Midwinter Meeting.